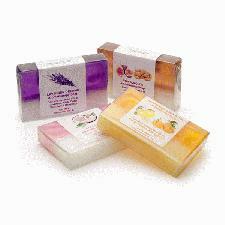 Spoil yourself with our luxury handmade soaps. After your busy day promoting your business, kick back and relax and enjoy yourself with our Handmade Aromatherapy Soap with essential oils. Choose from our range of lovely scents which include Lavender Dreams, Fig & Almond, Coconut and Grapefruit & Mandarin. Each Handmade Aromatherapy Soap comes wrapped in clear packaging for that easy promotional branding, with the minimum order of just 50 pieces a lead time of an amazing 10 days! Why not check out our wide range of Logo Branded Cosmetics for you to promote your business with, including many nail products such as the Promotional Nail Buff. To find out more information on our Handmade Aromatherapy Soap, fill in the form and we will get straight back to you or give us a call on 01989 565281.